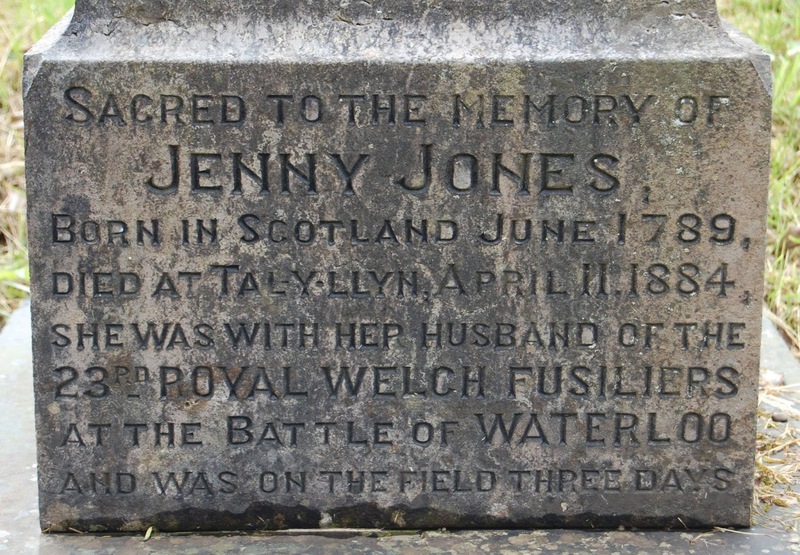 Jenny Jones of Tal y Llyn, Meirionnydd was at Waterloo with her first husband, Pte Lewis Griffiths of the 23rd Regiment (Royal Welch Fusiliers). In 1876 an account of her life, as told by Jenny herself, was published in the “Cambrian News”. Although some of the things she related are difficult to reconcile with known facts, the account gives a vivid and honest picture of the life of a soldier’s wife in the early nineteenth century. The following is an attempt at reconstructing Jenny’s early life. 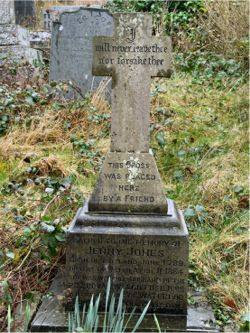 Jenny (or Jane) Jones was born in Ireland, probably in 1797, her maiden name being Drumble. Her home town was most likely Granard in County Longford. Jenny met her first husband, Lewis Griffiths, in Ireland, where he was stationed with the Royal Merionethshire Militia. She was aged 14, the daughter of a farmer, and he was 19 (born in 1793). The couple were married, apparently against the wishes of Jenny’s family, and she never communicated with them again. No record of Jenny and Lewis’ marriage has so far been found (see Note 1). Lewis Griffiths was from Tal y Llyn, the son of Humphrey and Jane Griffiths of Pentre Dol y March, a group of small houses on the northern shore of the lake. Lewis was his mother’s maiden name. The Militia Acts required each County to raise a certain quota of men to serve in its Militia Regiment for defence of that County. In time of war the Militia regiments could be embodied to serve outside their County boundary. An Amendment Act of 1799 increased the Militia Quota for Merionethshire to 226 men. Following the Declaration of War by Britain on Revolutionary France in May1803 the Merionethshire Militia (A Royal Regiment from April 1804) was embodied for garrison duty. It served in Southern England until June 1811 when it was transported from Devon to Ireland. It was stationed in Granard, County Longford. In August strength of the Regiment was 135 men, organised into two Companies. Lewis Griffiths appears on the 1811 Muster Roll of the Royal Merionethshire Militia preserved in the National Archives at Kew. 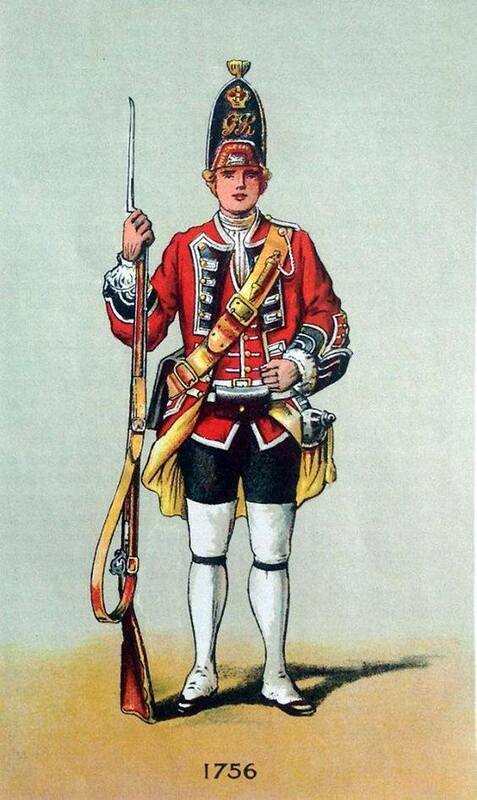 Many Militia men volunteered to serve with the “regular” Line Regiments. Among them was Lewis Griffiths who joined the 23rd Regiment (Royal Welch Fusiliers) in 1814. Griffiths entry on the Waterloo Medal Roll states that he was “with the Corps” from 5th April 1814. His attestation describes him as a labourer, aged 19. He was also a married man. 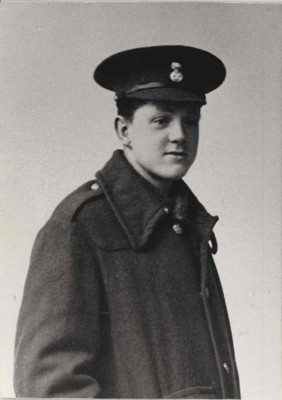 Lewis Griffiths served with No. 7 Company of the 23rd, under Captain Thomas Farmer. private soldiers who had joined the 23rd since the Peace in 1814. The majority of the private soldiers were aged 20 or less. 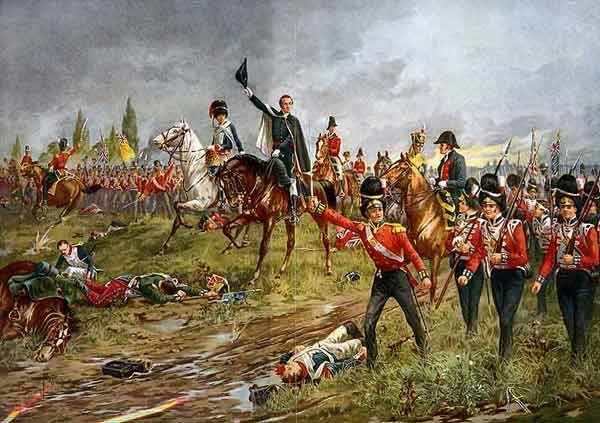 However, compared to other regiments at Waterloo the 23rd was an experienced unit as many had seen service in Spain or Southern France. 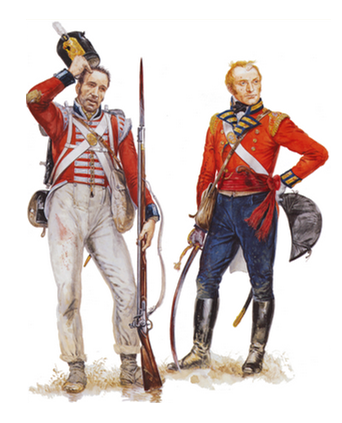 The 23rd Regiment was pulled in to Wellington’s army in Europe, marching against the reinstated Emperor Napoleon. It belatedly joined an extra Brigade, the 4th British Brigade under Lt Col H H Mitchell. 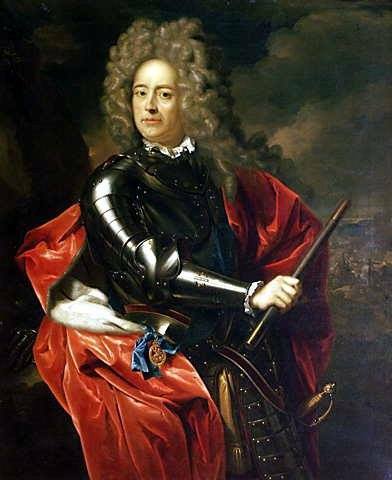 It formed part of the 4th Division, commanded by Lieutenant General Sir Charles Colville. The 23rd Regiment left Gosport on the 23rd March 1815 and landed at Ostend on the 30th March. Jenny accompanied her husband on the Waterloo campaign, presumably on the strength of the Regiment, acting as nurse/cook/laundrymaid. She may by then have had a child - some accounts give her a daughter. (see Note 2). The Regiment was moved by canal boat to Ghent, via Bruges. It was reviewed by Wellington, with the rest of the Brigade, at Oudenarde, on 20th April. From there it marched to cantonments at Grammont on 24th April. It stayed there until 16th June. It then marched to Braine-le-Leud, arriving on the 17th and passed the night in torrential rain. 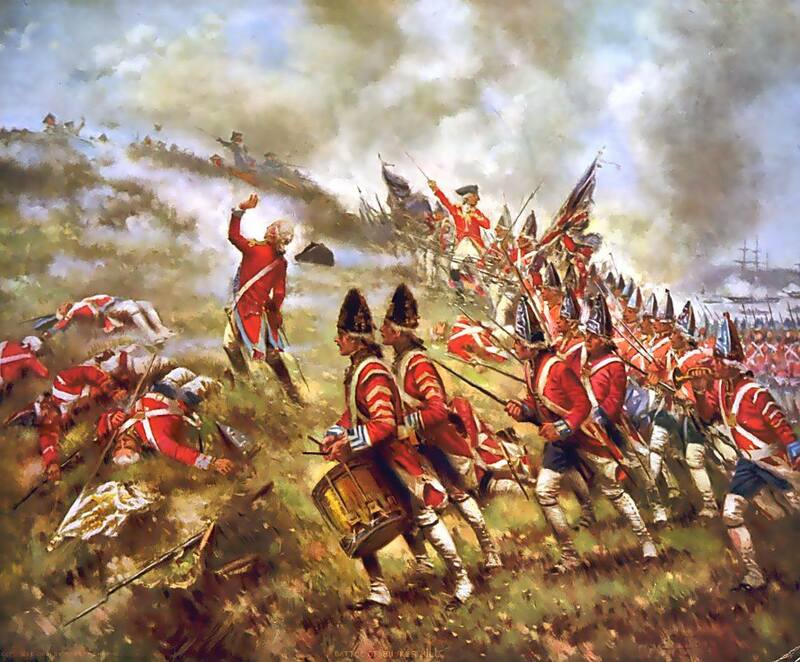 Wellington placed the bulk of his strength, including Mitchell’s Brigade, to the right of his line. This was fortunate for the 23rd Regiment as it suffered less casualties than those in the centre and on the left. 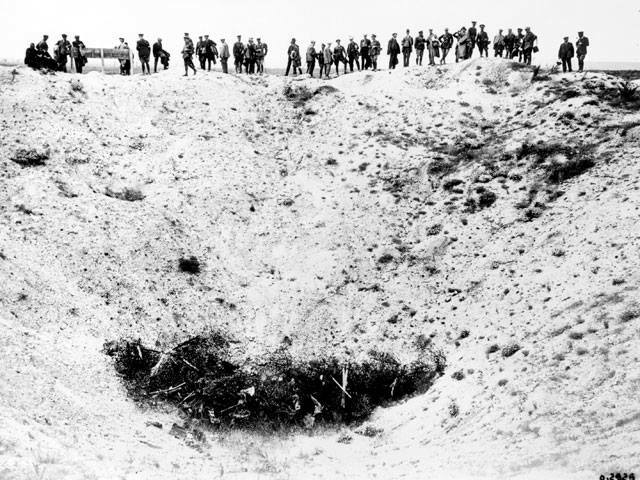 Even so it lost four officers and eleven men killed, and eight officers and seventy-eight men wounded. Early on the morning of 18th June 1815 the 23rd took up its position, in the second line, to the left of the Nivelles Road. In front of it was a battalion of the Guards. It deployed into line and the men were told to lay down as they were quickly under fire from French artillery on the road. The cannon fire killed the Commanding Officer of Lewis Griffith’s Company, Captain Thomas Farmer, and may have given Lewis his wounds, which were in the shoulder and, according to the story, were from cannon shot. The 23rd moved into the front line to replace the Guards battalion, withdrawn to give support at Hougoumont. It formed a square and remained in that formation all day, facing many attacks by French cavalry. 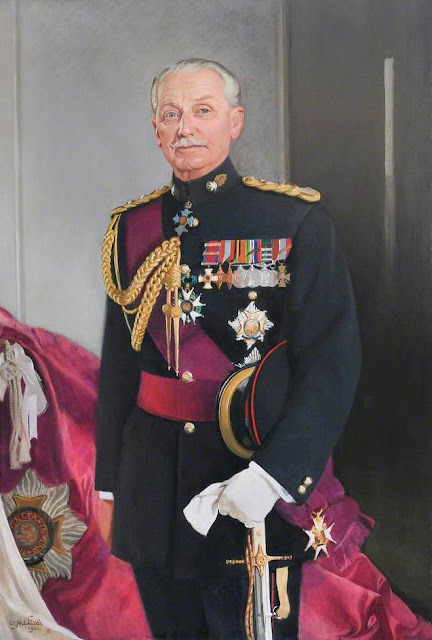 The Commanding Officer of the 23rd, Colonel Sir Henry Ellis commanded that no man should break rank, even to help a wounded comrade. The Regiment did not falter, even though the artillery fire continued, and every attack upon it failed with heavy casualties. The square retired to its former position, then advanced again and the 23rd finished the day by advancing in line and finding nothing to oppose it. During the afternoon, however, Colonel Ellis was struck in the chest by a musket ball. He remained in command until, faint from loss of blood, he was forced to ride to the rear. Weakened, he fell from his horse. He was found and taken to a farmhouse where his wound was dressed. He died the following day, aged 32. After the battle Jenny searched for Lewis and eventually found him in a Brussels hospital – the Elizabeth. Presumably she was still with him when the 23rd marched to Paris and, on the 4th July, encamped in the Bois de Boulogne. 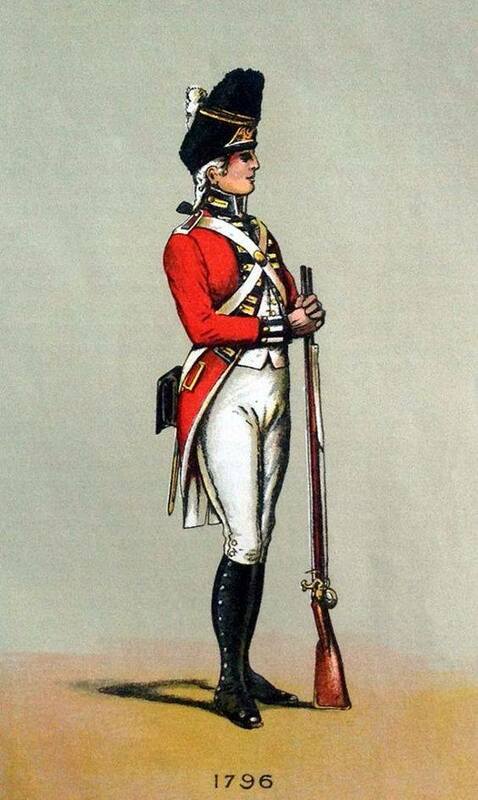 Lewis Griffiths was discharged from the Regiment on 6th April 1821. 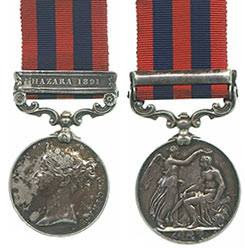 He received no pension and his Waterloo Medal was stolen. Lewis and Jenny returned to Tal y Llyn to live in a house named Cildydd. They had several children - possibly six. Lewis Griffiths worked in the slate quarries at Corris, to which he would walk over the hills from home. Lewis was killed in 1837 in Aberllefeni Quarry, aged 45 (his year of birth must have been 1792 or 1793). 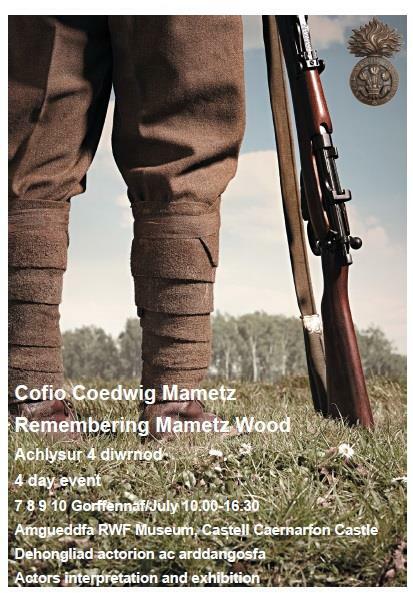 He was buried in an unmarked grave in Tal y Llyn churchyard. Jenny began working in the laundry of one of the hotels on Tal y Llyn. For a time she may have been a school teacher at Maes y Pandy. 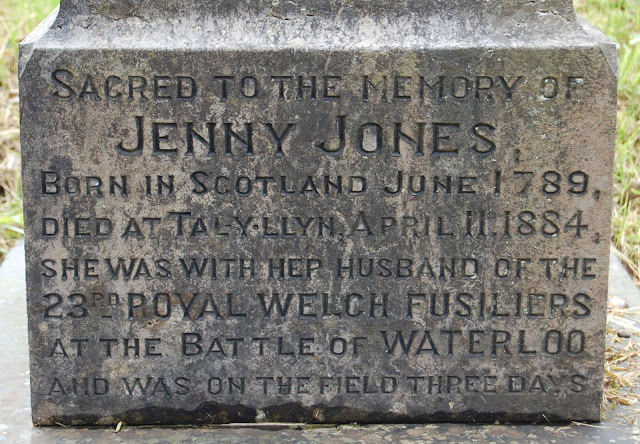 After a few years of widowhood, Jenny married John Jones of Y Powis, Tal y Llyn on June 1st 1853. Jones too was widowed. Both gave their address as Cildydd, and both signed the register with an X (strange if Jenny was a school teacher!). Jenny gave her maiden name as Drumble. It was not a happy union as Jones was a lazy man, and instead of easing it, the marriage increased Jenny’s poverty. After John Jones’ death Jenny went to live at Pant-y-dwr and later at Tyn yr Ywen, Tal y Llyn, where she died on April 11th 1884, aged 94. She was more likely 87 (see Note 3). This cross was placed here by a friend. The Army distrusted the presence of women and always tried to discourage soldiers from marrying. From 1685 marriage was allowed only with the CO’s permission. The number of married soldiers was restricted to 6% of strength – usually six wives per company. This was the “official” number but the system was abused and there were many more unofficial wives and women in barracks. The situation of a wife on the strength was highly insecure particularly when the unit was sent abroad. Only 4 or 6 wives per Company were allowed on campaign, and were selected by ballot. Great distress was caused among the wives who were left and they often ended up in Parish poorhouses or on the street. In both the 1841 and 1851 Census Jenny gave her birthplace as Ireland. In the 1851 Census she gave her age as 54 and this is most likely correct. In Parenthesis is an epic poem of the First World War by David Jones first published in England in 1937. Although Jones had been known solely as an engraver and painter prior to its publication, the poem won the Hawthornden Prize and the admiration of writers such as W. B. Yeats and T. S. Eliot. Based on Jones's own experience as an infantryman, In Parenthesis narrates the experiences of English Private John Ball in a mixed English-Welsh regiment starting with embarcation from England and ending seven months later with the assault on Mametz Wood during the Battle of the Somme. The work employs a mixture of lyrical verse and prose, is highly allusive, and ranges in tone from formal to Cockney colloquial and military slang. As we mark 70 years of Welsh National Opera, it is a time to look forward. What better way to do this than with a world première of a major new opera? In Parenthesis is young British composer Iain Bell’s adaptation of the epic poem by Welsh poet, writer and artist David Jones. In Parenthesis is commissioned by the Nicholas John Trust with 14-18 NOW, the UK’s arts programme for the First World War Centenary. Field is an immersive artwork and memorial for 923 Royal Welch Fusiliers who died at the Battle of the Somme during the First World War and have no known grave. Field has been created by award-winning international art and design collective Squidsoup, commissioned by Welsh National Opera to accompany our major new opera, In Parenthesis by Iain Bell. This work seeks to create an environment for remembrance and contemplation; one that connects the spiritual and elemental with the physical, the unseen with the seen, our past with our present. The original 1998 edition of this acclaimed history of the Regiment has been out of print for many years, yet is still in demand. 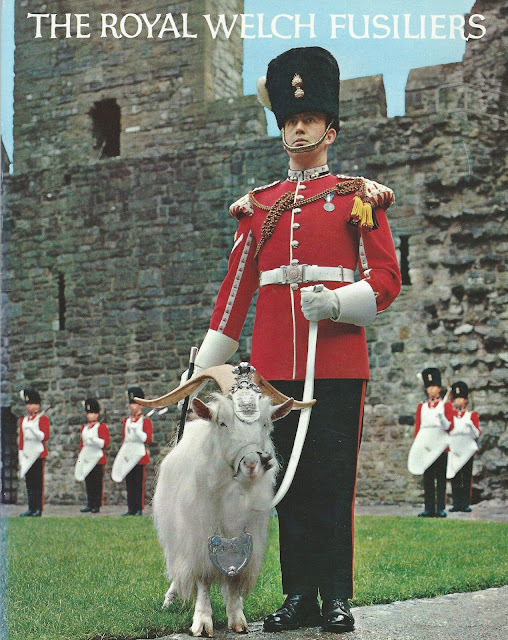 In this new edition, based on the late Michael Glover’s work, the story of the Regiment is brought up to March 2006 when the Royal Welch Fusiliers ceased to exist as an independent entity. Lieutenant General J P Riley has edited the work and added a new chapter covering the end of the Cold War to the amalgamation in 2006. This turbulent period includes the Regiment’s service in the Balkans and Iraq. Annexes have been revised and expanded, and the text is enhanced by photographs, many in colour, line drawings, maps and sketches by Kyffin Williams. The expedition was sent to destroy the French arsenal and shipping at St Malo. They succeeded in setting fire to three warships, over 100 merchant ships and several naval storehouses. On the following day preparations were made to besiege St Malo itself, but fearing the threat from an approaching large French force, the troops were ordered to re-embark for England. Sergeant John Porter of the Grenadier Company of the Royal Welch wrote an account of his part in the operation. 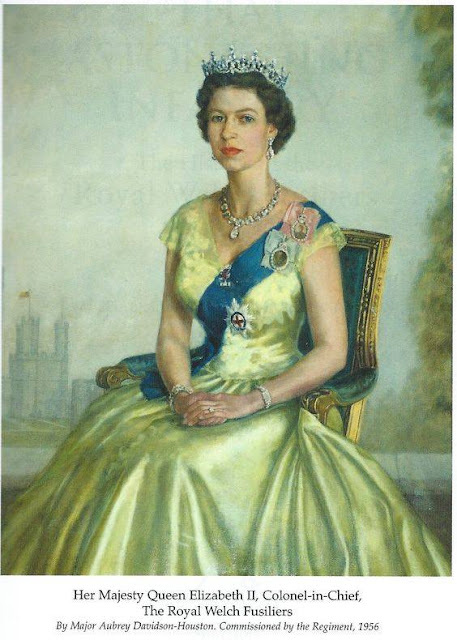 The Coronation of Queen Elizabeth II as monarch of the United Kingdom, Canada, Australia, New Zealand, Union of South Africa, Pakistan and Ceylon took place on 2 June 1953. HM the Queen inherited the position of Colonel-in-Chief of The Royal Welch Fusiliers from her father. 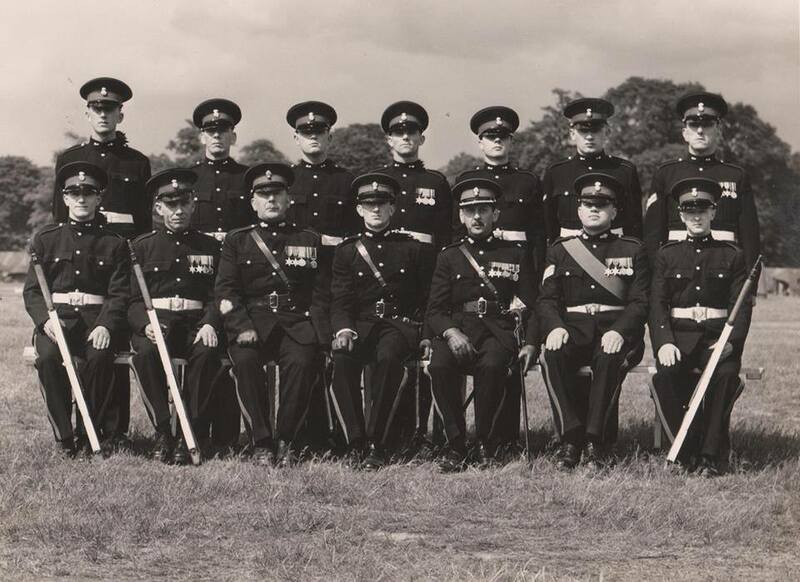 A detachment from The Royal Welch Fusiliers was on parade for Her Majesty’s Coronation. The detachment is pictured below. On the day before her coronation Her Majesty became the third royal Colonel-in-Chief of the Regiment when she succeeded her late father, King George VI. Traditionally, the Monarch has always been the Colonel-in-Chief of the Royal Welch Fusiliers and Her Majesty is now the Colonel-in-Chief of The Royal Welsh. 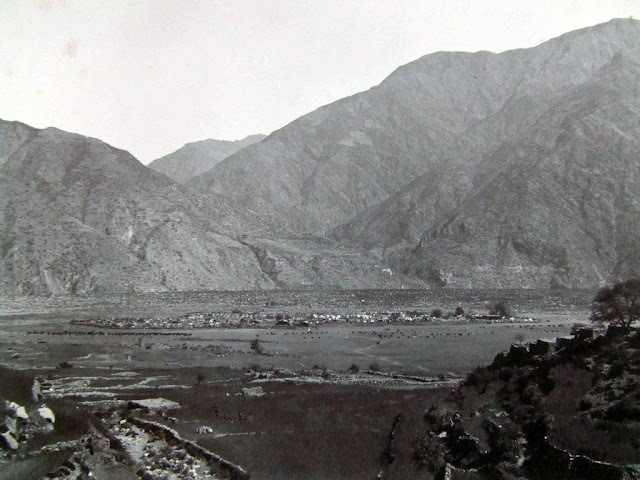 The Hazara Field Force of two columns left for Hazara on 12 March to enforce on two tribes recognition and compliance with Government demands. There was little fighting except for repelling raids. 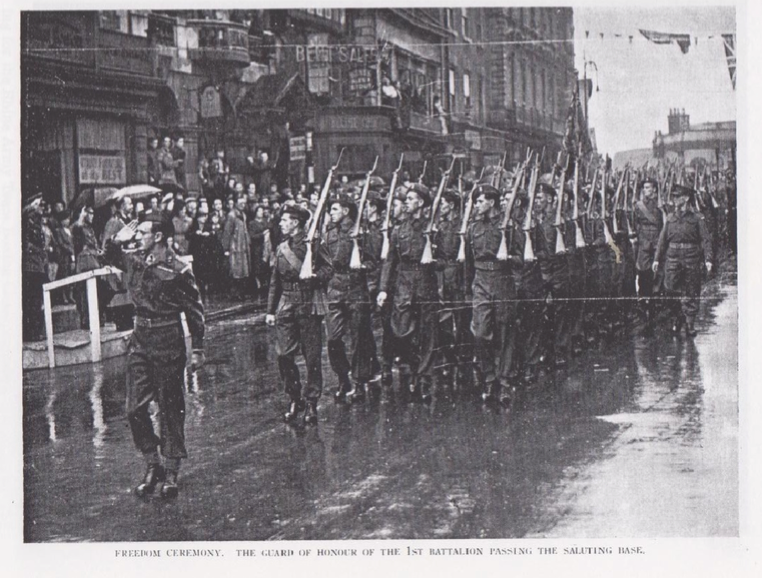 By 1 June the mission was complete and on the 11th the main body of the of the Field Force left for India. 1 RWF remained behind and returned to Peshawar on 9 October.